Gateshead Council has abandoned its funding application for a £30m project to enhance conference, exhibition and music facilities at Sage Gateshead. Following a detailed review, Gateshead Council and the North Music Trust will not be proceeding with its Arts Council England funding application to lever £10m for the £30m project. An economic and market review into the project found that financing the construction costs of the large-scale facilities would outweigh the benefits provided by an additional 3,000m2 exhibition and events centre and meant the project is not viable at this time. Leader of Gateshead Council Mick Henry said: "It was important that we thoroughly tested the deliverability of such a major and complex project. We have to be realistic, that in the current economic climate it would not be prudent to go ahead with this project at this time. "While disappointed, we believe this is the right decision. Recent regeneration in Gateshead has significantly improved our offer in this market and has already injected millions of pounds into the local and regional economy as a result. 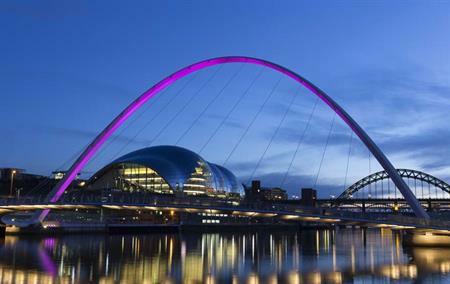 "Sage Gateshead has firmly established itself as an international venue that attracts world-class conferences. Our shared vision remains and I’m confident it will be realised in the future."